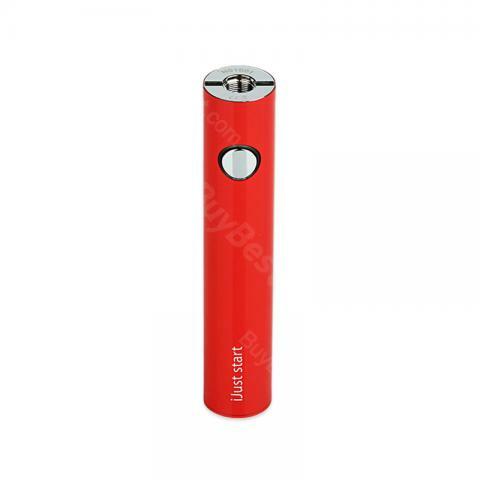 Eleaf iJust Start Battery 1300mAh is one of the early product of ijust series. Its stable performance and easy-to-operate design makes it a classic and typical ijust product. Eleaf iJust Start Battery 1300mAh is one of the early product of ijust series. Its stable performance and easy-to-operate design make it a classic and typical ijust product. Eleaf iJust Start Battery 1300mAh features direct output voltage, so it will be really easy for beginners to use, it comes with built-in 1300mah battery, can simply meet your daily need, and there is USB charging port on the side of the body, no need to replace the battery. Eleaf iJust Start Battery 1300mAh comes with 510 thread, so it can work with most of the 510 threaded atomizers.It is a great choice for beginners. packed excellent delivery time was 25 days to Russia. battery was charged 100% ADVISED SELLER !!! ALL EXCELLENT ORIGINAL !! !